Three bars of soap on a table with fresh daisies. If you're looking to splurge a little, choosing a triple-milled soap instead of a standard supermarket or drugstore brand may be worth the extra money. The manufacturing process, which was developed in the 18th century, makes the material more compacted. This lets triple-milled soap outlast its less expensive peers, giving you a little extra bang for your buck. 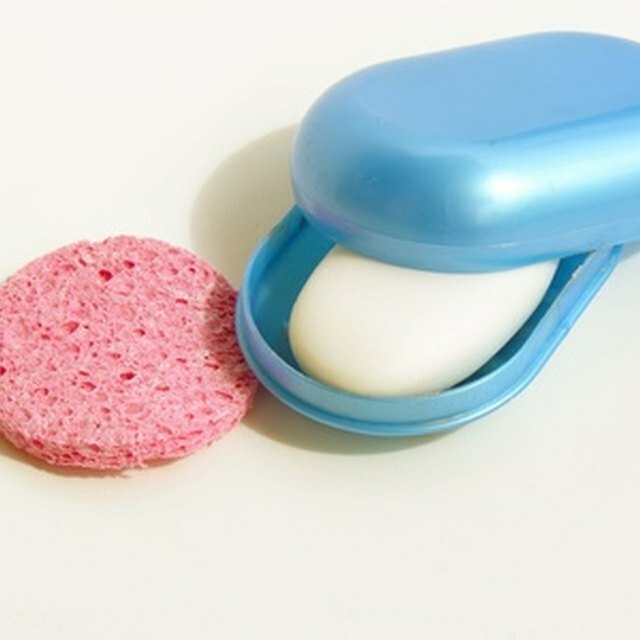 Soap has been around for thousands of years, with a history dating back to 2800 B.C. 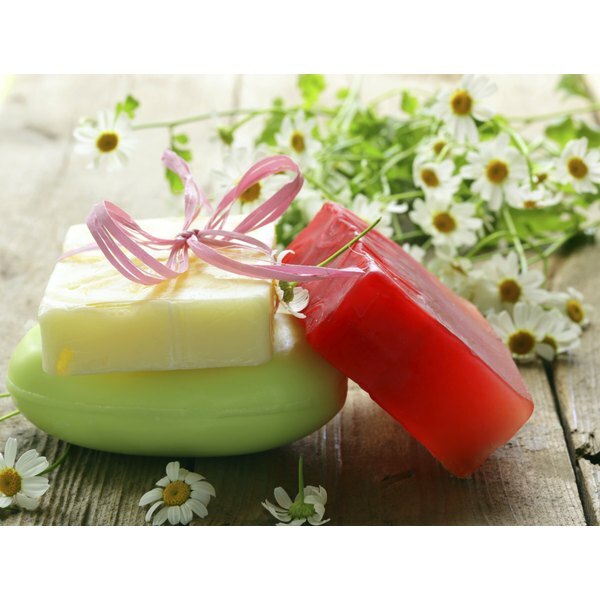 At its most basic, soap is made of a fat such as shea butter or olive oil and an alkali such as lye. The combination produces a process called saponification, which transforms the mixture into soap. Once the soap hardens, it can then be grated into pearls. Manufacturers of triple-milled soaps press and roll these soap pearls three or more times to create a paste. Soap makers then place the paste into soap molds and allow it to harden. Triple-milled soap’s manufacturing process produces a bar of soap with fewer impurities and a very smooth texture. Additionally, the soaps are typically made with skin-soothing natural ingredients and naturally based fragrances such as essential oils rather than potentially harsh chemically based fragrances. Are There Benefits of Seaweed Soap?